When Marty leaves his meal out overnight, it goes bad and conquers Fridge Land. The only way Marty can save his friends is by learning about digestion and acquiring the Porto-Stomach so he can defeat Mr. Meat. He won’t do it alone. He’ll be accompanied by bacteria, maggots, partially-digested foodstuff, and enzymes as he travels through outer-space and the gastrointestinal tract. 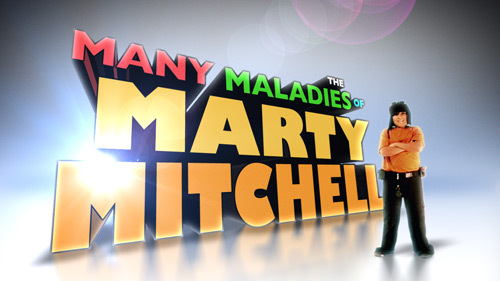 The Many Maladies of Marty Mitchell is an educational short children’s program highlighting adventure, problem-solving, and education. Our goal at ManyMaladies.com is to educate and inform children without patronizing them. ManyMaladies.com is a production blog following the process of the creation of the pilot episode. Check back often to see what progress is being made and feel free to share it with anyone who loves quality children’s entertainment.